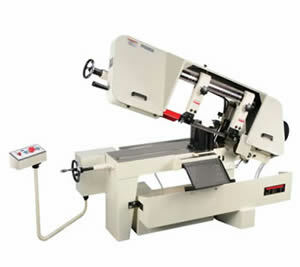 This is popular Jet band saw. It has the ability to cut a 10 inch round steel bar, which is pretty impressive and at a reasonable price. Thanks for looking. We hope to earn your business !